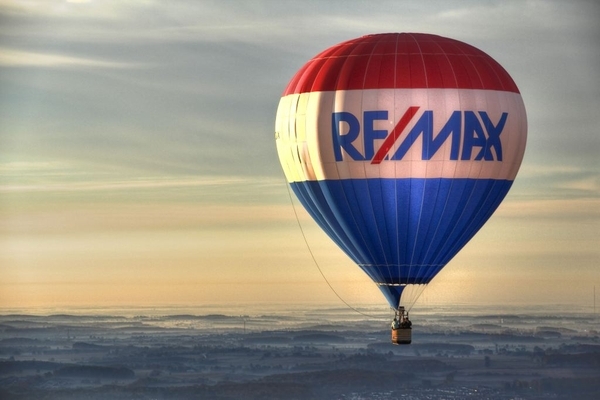 I'm a RE/MAX Hall of Fame agent who started my career more than 30 years ago, and I truly know what I'm doing. One way for you to assess my experience and expertise is to know that I'm consistently ranked in the Top 1% for sales volume among thousands of Realtors in Tampa Bay's tri-county area. At RE/MAX, for several years I’ve sold more homes than any other individual agent in Hillsborough County and I finished First in Tampa Bay / Top 25 in Florida for both 2016, 2017 and 2018. You can be confident I'll get you results! Slogan I live here, I love it here, & I sell here like no one else! I confirm that I worked with ANN MARIE VAUGHAN in the buying or selling of this property. - Ann Marie and John are true professionals. They have represented us well with multiple properties throughout the years. She is the only realtor I would recommend. - We are so thrilled to brag about Ann Marie and her team in the sale of our house. Out of the three realtors we interviewed for the job, she was the only one who had the vision to position our house where we needed it to be and where the market could support it. Our house was under contract in less than 2 weeks and closed 11 days after that! Put your trust in Ann Marie and let her do the job - you'll wind up with a job well done and a friend! - Ann Marie and her team exceeded all our expectations in selling our property. She is very knowledgeable and have a lot of experience in the Real Estate business. I can't imagine selling our property can be that quick and easy but having a real estate agent like Ann Marie makes it possible. - Ann Marie's professionalism and expertise was highly valuable throughout the time we worked with her. She helped us find renters, manage our property, and eventually sell our house. Her team is responsive, knowledgable, great with people, and have years of experience. - Ann Marie and her team were truly professionals the entire process was flawless. Sold extremely fast everything went perfectly. Would recommend her and would use her services again. - This was our second sale with Ann Marie as our agent, and it went as smoothly as the first, as we knew it would. She provided an excellent market analysis and zeroed in on precisely what physical features needed attention to get the house ready for the market. A bonus was the fact that her husband, John, was able to be active in overseeing the work being done. As absentee owners, we were able to rely on Ann Marie and John to do everything that needed to be done; not once did we have to travel to take care of anything. The house sold within days at an above-market price. When we're ready to buy or sell again, there's no doubt who we'll turn to -- Ann Marie. Reviewed by Dan and Becky K.
- Ann Marie has helped my wife and I sell and buy 3 separate homes. I wouldn't trust anyone else!! Her customer service, and market analysis was evident when we had an offer on our home in less than a day on the market and in fact got more than we were asking for!!! She's a proven winner and I'd use her services again without a moments hesitation. She's the first person to call when you want to sell or buy a home. Thanks Ann Marie. You're the Best!!! - I had a complicated situation which went seamlessly with the quick thinking and experience of Ann Marie Vaughan. She was kind and generous with her time and patient Within the process. I relied on her to provide vendors for absolutely everything from moving company to homeowners insurance to a new roofing contractor all of whom were extremely professional and did a fabulous job. nIt is uncertain that I would have been able to close on the home that I was selling by the home that I bought move work full time and have all of this done within a few days of each other withoutAnn Marie's help. In my mind there is no other realtor! - Ann and her team truly deserve five star ratings in all categories. They worked closely with us to achieve our goals and when it was necessary to step up when the title company was making closing difficulty they came through with flying colors. My wife and I highly recommend Ann to anyone seeking to buy or sell a home. - Ann Marie and her team were AMAZING and such a pleasure to work with. They were very professional, highly knowledgeable and were able to get our house sold much quicker than I had expected. I look forward to working with her again in buying our next home! I highly recommend Ann Marie and her team. 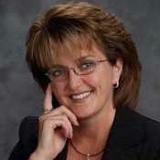 - Ann is a fantastic realtor, very knowledgeable about this area and very nice. She comes with a team and they are also helpful. Her great assistant Jane helped with everything as well as her husband. - Top Notch Realtor with a strong go get em attitude. Ann Marie and her team went above and beyond, and exceeded our expectations. ALWAYS professional, NEVER rude or pushy, and cared more about what we wanted vs. how much money they stood to make on the sale. I only wish there were more Realtors like her all over the US. If you're in the market to buy or sell, I kid you not, she and her team are THE best in the area.